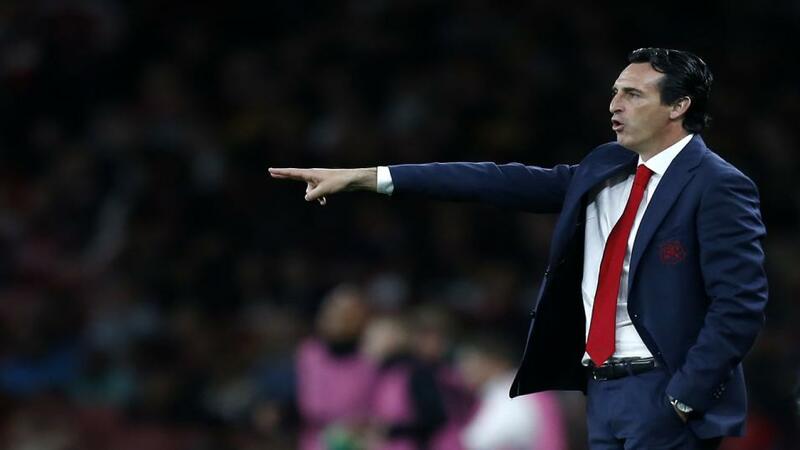 Can Unai Emery point Arsenal to victory over Huddersfield? Rock bottom Huddersfield host an Arsenal side looking to get closer to the top four. Opta presents the vital statistics. "Huddersfield are winless in 11 competitive matches against Arsenal (D2 L9), since a 2-1 victory in January 1971." Arsenal are [1.65] to win. Huddersfield are winless in 11 competitive matches against Arsenal (D2 L9), since a 2-1 victory in January 1971. Arsenal are [1.65] to win. Arsenal have won their opening three games against Huddersfield in the Premier League - only against Watford (7), Reading (6), Wolves (6), Wigan (5), Cardiff (4) and Fulham (4) have they won their first four or more vs an opponent in the competition. They are [2.5] to win half-time/full-time. Huddersfield have won just one of their last 16 home games in all competitions against Arsenal (D8 L7). The draw is [4.3]. Huddersfield have scored just five goals in their 13 home Premier League games this season. Arsenal are [2.9] to win to nil. Huddersfield have lost their last six Premier League home games. The last team to lose more in a row at home in the competition were Wolves in April 2012 (nine in a row). The draw half-time/Arsenal full-time double result is [4.8]. Arsenal are the only team yet to keep an away clean sheet in the Premier League this season, with their last shutout on the road coming at Huddersfield on the final day of the 2017-18 campaign (1-0). Over 2.5 goals is [1.83]. Arsenal are winless in their last six Premier League away games (D2 L4), losing the last three in a row. Having scored at least twice in their first eight games on the road this season, the Gunners haven't netted more than once in their last four. Huddersfield are [2.42] to avoid defeat in the Double Chance market. Huddersfield are winless in their last 12 league games (D1 L11), the longest current run in the top four tiers of English football. An Arsenal win and both teams to score is [3.4]. Both teams have found the net in 19 of Arsenal's 25 Premier League games this season - no side has seen this happen more (Man Utd also 19). You can back both teams to score at [1.85]. Seven of Alexandre Lacazette's nine Premier League goals for Arsenal this season have been winning goals - only Mo Salah (8) has scored more winners in the competition this season. Lacazette is [2.3] to find the net.